Grab the controls of the biggest crane around to unload massive container ships. You are up against the clock, time is money. Your job is to unload the containers onto the waiting trucks. You'll get extra points for matching the colored box to the corresponding lorry, but its not necessary. 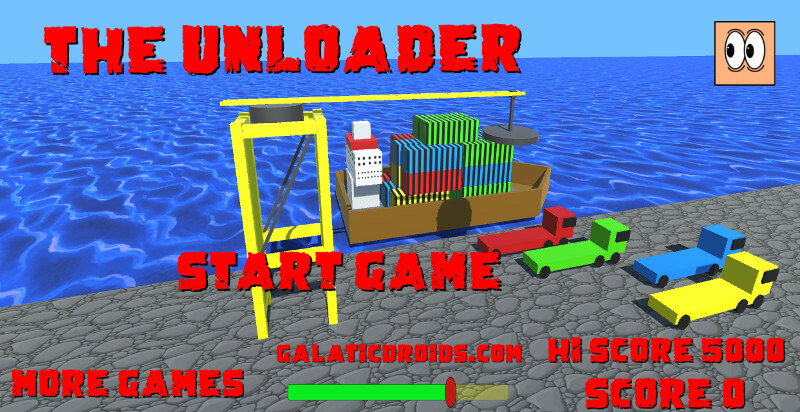 You'll start small, but each level will bring more & more cargo to unload. You get bonus time and points for matching the containers to the correct lorry This is more of a quick arcade game then a simulator. The crane is very easy to control but you'll need to judge distance accurately. To get big scores you'll also need manual dexterity, good timing and perhaps a little luck. 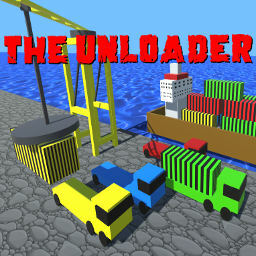 Download "The Unloader" now, you know you've always wanted to drive a crane.